One remarkable thing about #SochiProblems was the extent that it focused on goods and services and the built environment. Recall that many of the pictures that ran rampant were of toilets, curtain rods, coat racks. Showers and elevator buttons were there too. It was almost like when Gum, Soda, Popcorn, and Candy all go to the lobby in Let’s All Go to the Lobby, except this parade featured flooded corridors, trashed hotel rooms, and manhole covers. The failures and accidents spotlighted by #SochiProblems were, in a sense, glitches. Visual artist and theorist Rosa Menkman refers to glitches as an, “(actual and/or simulated) break from an expected or conventional flow of information or meaning within (digital) communication systems that results in a perceived accident or error.” Glitch Moment(um) at 9. Menkman is a thoughtful and eloquent interrogator of glitches in the context of art and culture. In the context of #SochiProblems, two side-by-side toilets are an actual break from the expected flow. This break results in a perceived accident or error — albeit not in a digital communication system. We expect that side-by-side toilets should be separated by some sort of divider that affords users with at least the appearance of privacy. A hallway full of coat racks is an actual break from expected flow because coat racks are typically solitary creatures. And so on. The presence of a #SochiProblem is just the starting point. Menkman urges us to, “[u]se the glitch as an exoskeleton of progress.” Glitch Studies Manifesto. And “[r]ather than creating the illusion of a transparent, well-working interface to information, the glitch captures the machine revealing itself.” Glitch Moment(um) at 30. 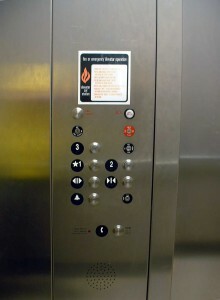 In other words, that an elevator has two “up” buttons leads us to ask questions about elevators and buttons. What other arrangements are possible? One large button? 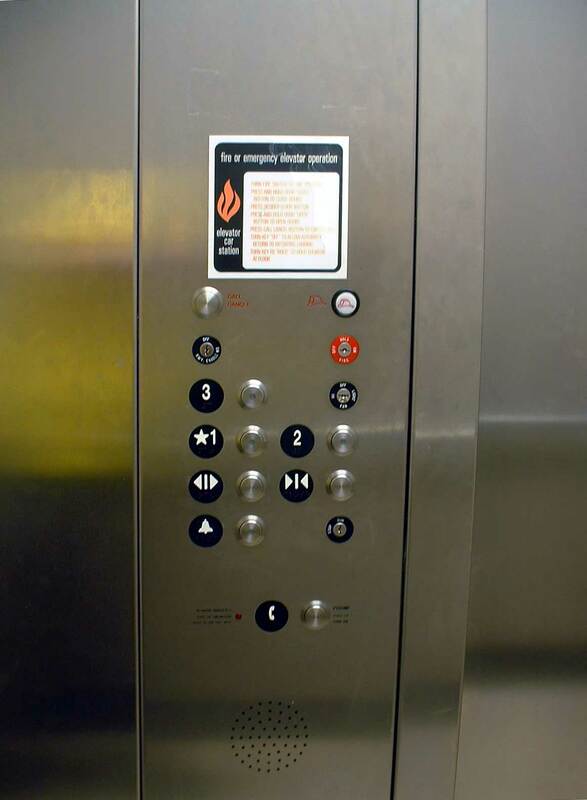 Five buttons — two buttons that control direction, and three that control other aspects of the elevator, like lighting, temperature, or sound? In any event, a rigorous understanding of glitches is an important tool for truly understanding goods and services or the built environment. And this presents an interesting example of a glitch outside of the strictly technological context.